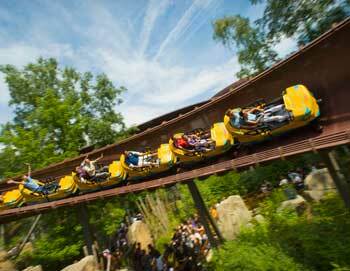 Join us and spend an unforgettable day at Asterix Park outside Paris. Asterix Park is an amusement park for the whole family, where children and adults can enjoy themselves at this theme park, based on the famous French cartoon figure Astérix® and his adventures . 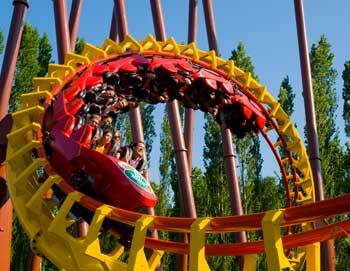 Asterix Park Paris combine attractions, merry-grounds, tracks, roller-coasters, rides and shows so you are sure to have an enjoyable day with your friends and family! - Children: 3 to 11 years old. - Accommodation, meals and drinks are NOT included in the price. - Asterix Park Paris tour begins and ends at PARIScityVISION, 2 Rue Des Pyramides, 75001 Paris. April to August: Daily at 8:15 AM. September to October: Saturday and Sunday at 8:15 AM.